So you want to start eating the Lo-Carb/Hi-Fat way? 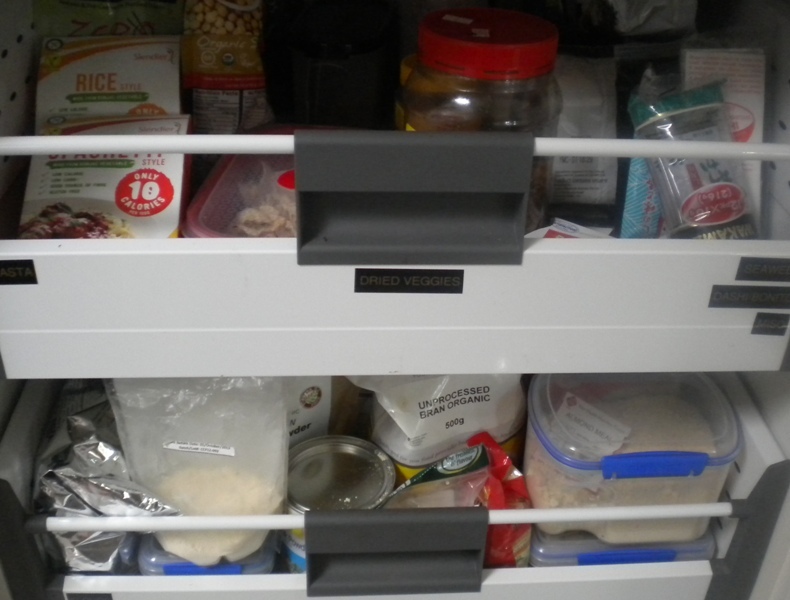 First things first – remove temptation and clean out your Kitchen Pantry. 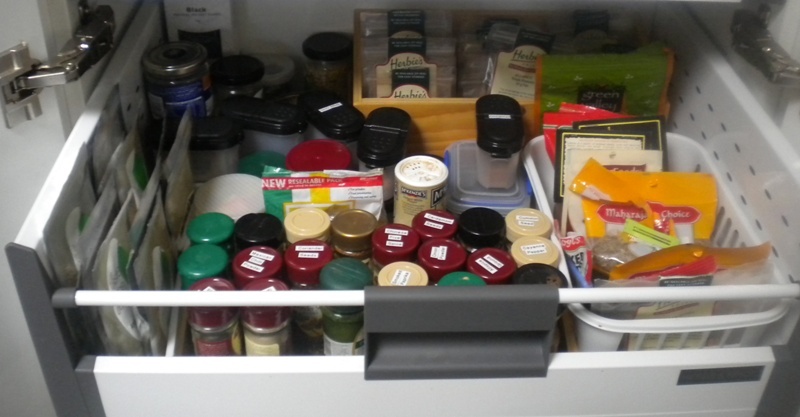 This is our Kitchen Pantry guide, we actually only did all this recently. What we found was that a lot of the stuff we had to throw out was out of date as we had already been six months plus on a ketogenic diet. We put flour and starches into our compost as the worms can live on them for a while and turn it into good soil to grow our zucchinis and (hopefully) celeriac. Let’s start with Snacks. Following is a list of the easy snack items to ditch from your Kitchen Pantry and some suggestions for replacing them. Nuts and seeds – keep an eye on them as there is a large variance on carb counts. Almonds and Brazil nuts are the best we have found. Beef jerky – Again keep an eye on the ingredients some do have sugar added. There are also some veggie chips (beetroot etc.) that are not too bad. Biscuits/Cookies Low carb bars from Atkins, Aussie Bodies etc. There are some no sugar added biscuits and cookies out there as well. Chocolate No sugar added chocolate (sweetened with Stevia or Splenda etc.) or make your own – we will post a recipe soon. 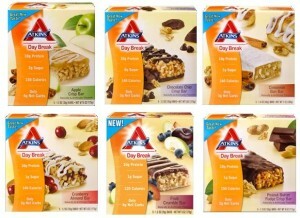 Breakfast Cereals Low carb bars from Atkins, Aussie Bodies etc. or make your own. We are working on a mix and will post details soon. Muesli/Granola Bars Muesli Bars Low carb bars from Atkins (Day-break), Aussie Bodies etc. Cracker & Crisp breads If you feel like a cracker for your cheese then Microwaved Flaxseed Crackers is a recipe we use (Modified from one on the Atkins site) that is REALLY quick and easy. Early in the change to ketosis I would not eat these, but when you are increasing your carb count then Cruskits Orginal are not too bad. Anything Low Fat Full Fat version! Generally these had heaps of carbs. Taco’s, nachos, wraps etc. all use high carb items to make the meal. We found the Empower low carb wraps and superfoods barley max wraps are low in carbs and can be used for burritos and even cut up, and deep fried to make chips for nachos. As for Tacos’ well Richards Cheese Taco (made from cheese) are totally excellent. Next let’s ditch the basic baking and cooking items that are high carb and can be replaced in most instances. Wheat based flours Coconut flour – generally you don’t use nearly as much of this when substituting so don’t buy too much at the start.Also Vital Wheat Gluten powder is a good one to get, although no good for our Paleo cousins. 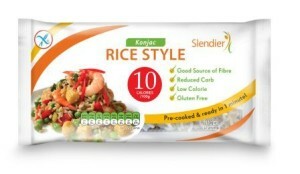 Rice You can make a decent rice substitute by chopping up Cauliflower in a food processor, but we also like Konjac based rice substitutes. Corn flour/starch Guar Gum or Xanthan gum, use carefully they work very differently to corn flour. You need to gently sprinkle the powder thinly while whisking vigorously. Basically these are nut and seed flours or meals. Pasta There are low carb pastas out there, but it can be hit and miss. Try the Konjac noodles for Asian style dishes and Atkins and Ciao proto pasta. But in some of our recipes we use zucchini and other veggies instead of pasta. Spreads Ditch anything with added sugar. For peanut butter there are a few varieties that do not have sugar added, but there is still a few carbs, so keep an eye out.Vegemite is about 20% carbs, but as you only use small amount should be ok.
Sauces Check the carbs, my recommendation is that anything where sugar is in the top 4 ingredients – ditch. Or if the carb count is greater than 10gms per serving (and use your way of serving not their recommendation) then ditch as by the time you add your veggies that count goes up. Tuna in oil or spring water – No flavours – add your own! We buy line caught tuna. Other veggies that have no sugar added and are low carb we have water chestnuts, bean shoots etc. Anything Low Fat Full fat version ! If the oil is high in polyunsaturated fat, don’t heat it – use it as a dressing or finishing oil. These fats can change to trans-fat when heated – which should be avoided. Vinegars Keep an eye out for high carb counts and extra added sugar and use sparingly. Balsamic usually has a greater content of carbohydrates due to its residual sugars, so keep an eye on the amounts you use. Herbs and Spices Herbs and Spices are brilliant flavour additives to your meats and vegetable dishes.As usual just check, especially blends, that there is no sugar added to the dried spices or herbs. Soy Sauce These have some carbs so keep that eye out, but they are great flavour infusers. Low carb goods Check everything before throwing out and my quick rule is that if sugar (or High Fructose Corn Syrup, glucose,fructose, rapadura, or any other name for Sugar) is in the top 4 of the ingredients or the carb count is more than 10gms per serving (based on your serving size not their recommendation) then ditch. Oil based Essences Add flavour without the carbs. We have maple flavour to add to bacon and Richards to die for Maple Bacon Ice Cream, I use apple flavour my cooked cabbage which gives the meal the tart apple flavour you want but keeps the carb count down. Other Flavours We use a smoke flavouring, which usually comes from exposing barley flour to Hickory smoke, so it may contain carbs from the barley, but we use it in extremely small amounts. You may not need all of these but they are good for adding to low carb recipes. Psyllium husk Good to get fibre into your diet especially in the early days when your body is getting used to the new diet. Be careful in drinks as it will thicken even when cold and can get stodgy if not consumed immediately. Dried berries Only use a small amount as in their dried state have a higher concentrate of carbs, but it allows you to keep some on hand. We find the best ones are blueberries. You might not need all the items listed, but I would buy the most appealing items from categories that you currently eat or use first. Also we found that the reliance on the bars and pre-packaged low carb items is reducing all the time as we spend time testing recipes and trying to replace packaged items with homemade foods. Great post! I love the detail! Thanks – you can blame Julie. Detail is her department. What about dry or fresh beans? Can I make bean soup with smoke bacon? What about Japanese fermented beans – Natto? Are they good or bad for this kind of diet? I eat a little Edamame like I might eat half a dozen with a beef meal. Legumes have starches. BUt in small doses they are OK. Here in US our bacon has half meet half fat. Meat contains proteins and fat -> fats. How do I manage only 30% fat in my diet even when bacon has 50% to 50% meat to fat? I guess I confused you with my question. How do I maintain 70% of fat and only 30% of protein in my diet when even in bacon there are more protein than fat? According keto calculator I can have only 80 grams of protein. There are other sources of fat. Such as cream, butter and cheese. So for example a meal may include a few rashers of bacon, with scrambled eggs (eggs and cream) cooked in the bacon fat, sprinkled with some cheese, and a little butter.